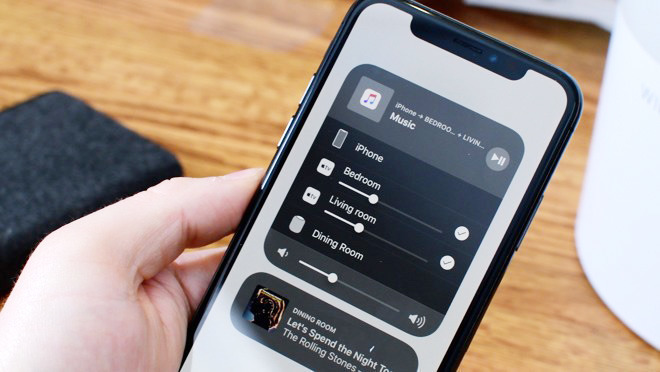 The code for the new betas of both operating systems can be downloaded from the Apple Developer Center, as well as through an over-the-air update to iPhones and Apple TVs already enrolled into Apple's testing program. Public beta releases usually arrive a few days after the developer versions. The third iOS 11.4.1 beta is build number 15G5072a, following the second beta with build number 15G5063b. The third tvOS 11.4.1 beta uses build number 15M5071b, replacing build 15M5063a. At the time of publication, there is no sign of similar betas for watchOS 4.3.2 or macOS 10.13.6. The betas so far have seemingly consisted of bug fixes and performance improvements, rather than introducing new features. 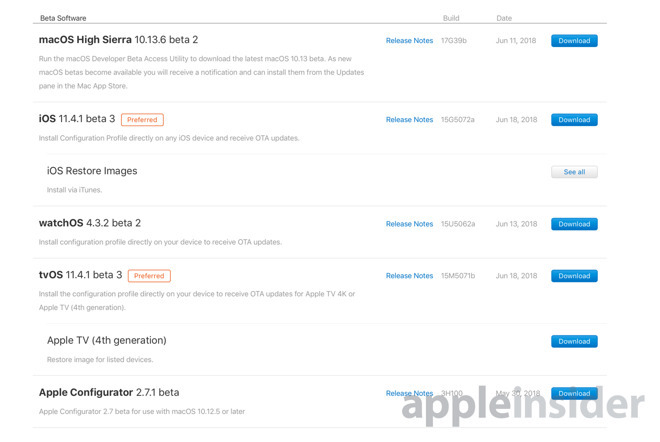 It is probable that Apple is saving any new items for its milestone operating system releases, iOS 12 and tvOS 12, due this fall but currently undergoing their own beta testing.